Not all woolens are created equal. Here's where we're going to get super snobby! Let's talk about wool fiber types. So, what does this mean, wool fiber? It refers to the animal that the wool comes from and also any special finishes that the wool may undergo to become a yarn. First, I'm going to talk about the animal that the hair fiber came from in order to make the yarn to be woven or knitted into cloth. 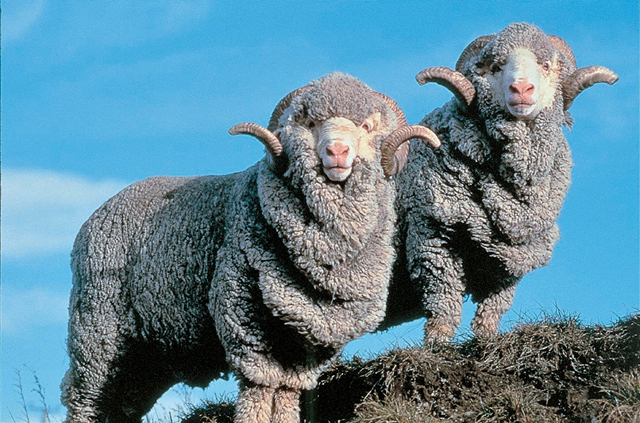 Most wool comes from sheep. When something just says its wool, it's coming from a sheep. This is not a bad thing in any way, it's just the base level and from here we'll get a little more exotic. Cashmere. I'm sure that's one you've heard before. Cashmere. Oh how excitingly lush! 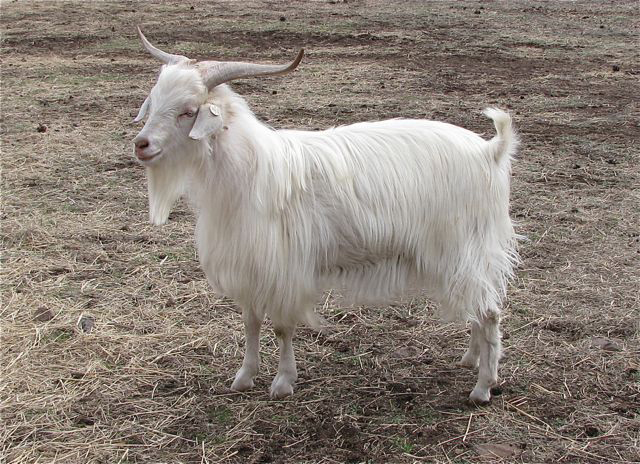 Cashmere comes from cashmere goats (and a few other similar goats apparently) and the reason it's such an expensive cloth is because it's most specifically the hair around the goat's neck. Not a whole bunch of hair there if you know what I mean. So you have to shave a lot of goat necks to get a small stash of hair to spin into yarn. This cloth is usually very very soft. Yum! Merino. Another fairly common wool out there. Merinos are sheep. A special sheep that is very much prized for its soft hair. 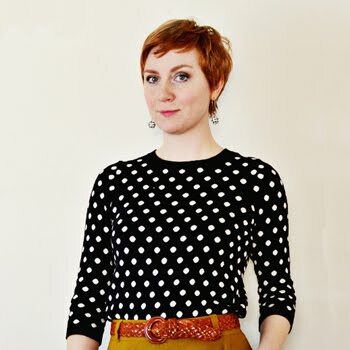 Merino is very high quality and especially in knits, it's positively heaven. Mohair is another wool fiber type. I actually see this fiber coupled a lot with rayon in suitings, but alone it's more like a fur (but it's not fur, so don't be confused). 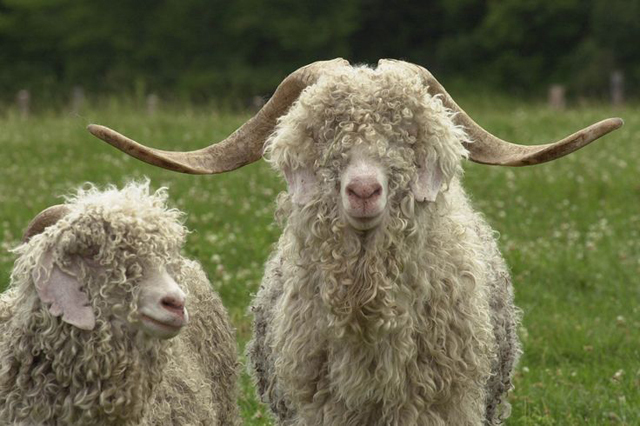 Mohair comes from a certain breed of goats. That leads right into Angora which does come from little angora rabbits. 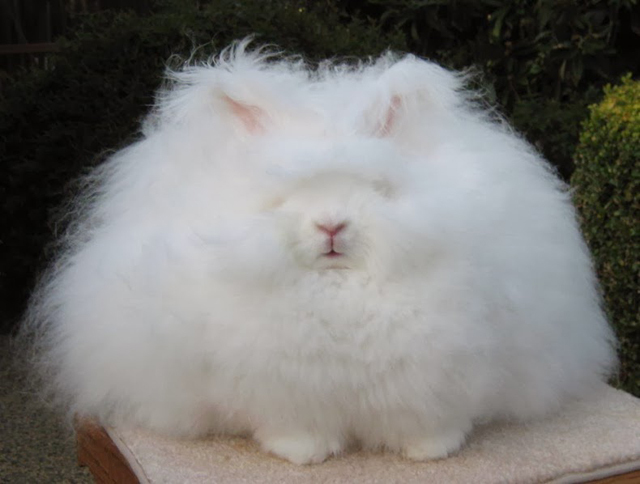 I've actually never seen angora as a single fiber in a cloth. I've only ever seen it coupled with other fibers - perhaps to make it stronger? Either way, this stuff is quite soft and little bit fluffy. Alpaca is a pretty wonderful woolen. It's from an animal that is very similar looking to a llama. 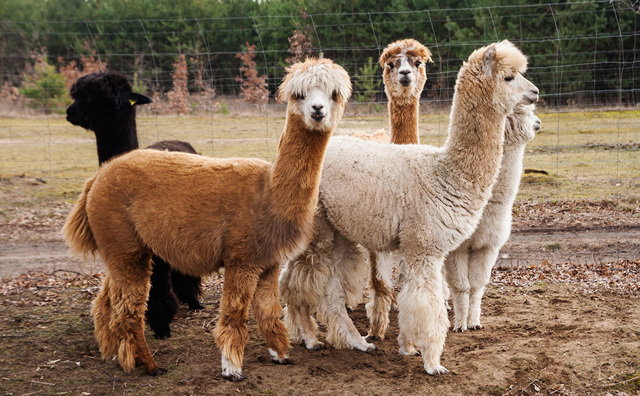 Alpaca hair is hypoallergenic! There are a few different breeds of the animal, Suri (considered the more luxurious) and Huacuaya. This leads me to Vicuna which is considered one of the finest wools you can buy. 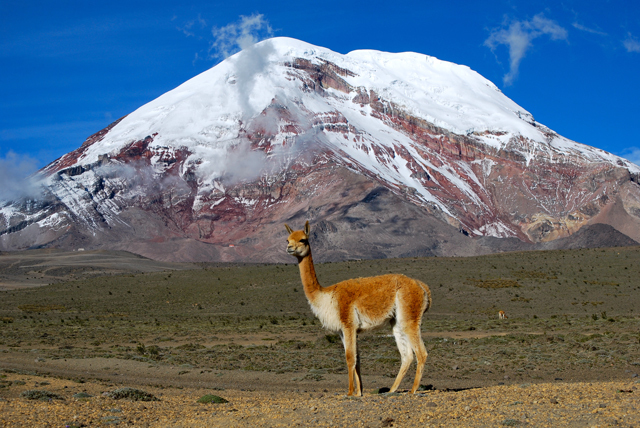 It is very rare and the animal itself (relative to the llama also) can only be shorn once every three years! Surprisingly, I have a Vicuna scarf that was given to me by my dad. He lived in Bolivia when he was younger and a family gave my dad a pure vicuna scarf that had been in their family for many many years. It was considered a very prized possession. Crazy enough, it does not feel like the traditional wools I've come across. It's very soft and almost feels like a very fine cotton, meaning it doesn't itch in the slightest! What about Shetland wool? This comes from a Shetland sheep, is fairly course and rather scratchy. It's usually something that you would use in a coat. Usually very thick and very very warm. I also wanted to touch on a few other things that can make a wool special. These have to do with finishes or processes that the wool fiber goes through to become a yarn. What is worsted wool? The worsted yarn goes through a different process than regular wool yarn to become yarn - that was a mouthful! When I come across worsted wools as a buyer, it typically implies that the wool is fairly soft and is light to medium weight and opaque. When I see a worsted I usually buy it because it usually means fine quality. Have you ever seen high quality suiting wools? They are usually marked as super 120s or super 130s. I've even seen some go up to super 180s (very rare). These are very very high quality wool suitings. And they do not feel like wool, they feel akin to silk. Many have a luster to them - a little bit of a sheen - and the numbers themselves refer to the long staple yarn count per square inch. Like bedsheets. The higher the number, the better the quality. I've only seen these kind of suitings come from Great Britain or Australia, and that is usually reflective in the price as they can run pretty expensive. They hold a press, but wrinkling is very minimal. What about virgin wool? Have you heard that term before? Virgin wool implies that all the wool in the piece is new and it does not contain any recycled wool. Virgin wools are typically more expensive than others, but worth the price. They are finer quality, have minimal wrinkling, usually a bit softer and have a lovely brilliant color in whatever color they are dyed in. I know this was a long post, but hopefully this gives you a better idea of wool fiber types and what you're looking at when you purchase something in store or online. It's more than likely that I've missed a few here, but hopefully I've nabbed all the major ones! Do you have any of these fiber types in your stash? Love all this information! Wool is, hands down, my favourite fibre with which to work. I had never heard of Vicuna, and I have stumbled across a super 180 wool or two. Gorgeous, drool-worthy fabric, and, yes, very hefty in the price department. Thanks for posting! It's exceedingly strange to me that the sewing world uses the term "wool" for fabric made from the hair of any animal. In the knitting/crocheting world, if a yarn is made from the hair of an alpaca, the yarn is labeled "alpaca," not "wool." There's just a greater degree of specificity. Considering that the structure of sheep hair and alpaca hair is different and imparts very different qualities to the fiber (memory vs. drape in the case of wool and alpaca), I tend to think is the better way to go. It's a lot less likely to confuse or mislead people about what they're getting. I've gathered that knitters/crocheters in the UK tend to use the term wool to mean any yarn, but often use a modifier when the yarn is not actually made from sheep, e.g. cotton wool, in order to be clear. Any idea why the sewing world doesn't observe these distinctions? Oh, and for anyone who might be interested, Clara Parkes is considered by the knitting world as one of the foremost authorities on fiber. Her books The Knitter's Book of Yarn and The Knitter's Book of Wool are excellent resources for anyone who wants to explore fiber in depth. Thank you for your informative posts! I love wearing and sewing wool. "In 2013 several clothing retailers suspended the sourcing of products containing angora wool after video evidence surfaced of live rabbits with their paws tied being plucked raw in Chinese fur farms. Major retailers that banned angora products in response to welfare concerns include Gap Inc., Calvin Klein, Tommy Hilfiger, H&M and Esprit." This is quite informative, and I have been sewing for a long time. Vicuna is new to me, and so is the information on worsteds. Good job and nice photos. I too have read news articles regarding the unnecessarily cruel harvesting of Angora wool. The rabbits are left bloody from where their fur was yanked out. I signed a petition regarding that practice, but cannot provide a link as this was a few months ago. My personal reaction was to avoid anything with angora in it. I would tend to think that the differences in terminology relates to the subject matter, in other words, the subject of textiles versus the use of the material. If you are sewing a woolen material, then how you handle it would not be much different whether it is merino or shetland (except for sewing specific issues of the thickness of the fabric etc.). Angora fibers would tend to be an element of the fabric. So to a sewer I tend to think that the distinctions don't matter so much, and so they grouped together as "wool" or perhaps more precisely, as "woolen" fabrics. I'm just guessing though, so maybe someone else has a different idea about this! I'm just going to say that I love the animal pictures! I'll admit that I almost skipped this post altogether, because I'm allergic to wool. I was pleasantly surprised to see information on the non-sheepy stuff, though. Especially the alpaca, since I can handle that in at least lower percentages. It was an interesting read, and I hope you do similar posts in the future on other types of fabrics! Growing up in NZ, I saw a lot of wool (of the sheep variety, recognising Caitlyn's point above ;-)... I thought for ages that wool just meant that made from sheep). It's still my favourite too - structured yet pliable AND it doesn't need to be washed as often, result! I'm loving this series - thank you Sunni! Thanks for a very helpful post. The one thing that comes out of this for me is the question of how animals are treated in the production of cloths, which though true of all of the above is particularly true of the angora rabbit. From what i understand it is possible to harvest the wool painlessly, but this is very slow and expensive and so best practice is not always followed, so worth watching out for cheap angora as a risky one. For me part p1f the reason for sewing my own clothes stems from a desire to have control over the production processes and this extends to the cloth itself. It can be difficult to find out, however! I enjoyed your post. Being a wool lover and country dweller, I actually have all wools (with the exception of Vicuna) on the hoof. I started out with Shetland Sheep but had to have a little of everything. I love sewing and knitting with this versatile and wonderful fiber. And I will agree that in the knitting and spinning world what type of wool one uses tends to be more specific than the sewing world. That is the way it has always been. When we make or buy yarn, there are very exact percentages of raw materials. Wool fabric just doesn't seem to go to those extremes, unless there is silk or cashmere involved. That's what I think. When I was little, my grandfather had some Angora goats on his farm back in South Africa, until the wool market crashed and he sold them as it cost more to shear them than the wool was worth. Thanks for the crash course on wool! I'll definitely bookmark this for future reference. Thank you Tia Dia! I too LOVE wools. They are marvelous to work with. Yay for woolens! I agree with Jen too! When sewing, how you handle the cloth really is not much different even though the fiber content might be different. I can definitely see how it would be different for a knitter or even weaver though. Additionally, I would add that as far as cloth yardage is concerned, with all the different fiber types of wool in addition to all the different weaves it could be formulated into, that would end up with a lot of combinations that I think would add to confusion rather than eliminate. Great points though, both of you! I'm ashamed to say that I didn't know this! (shame on Sunni!). I had actually wondered why you couldn't purchase angora sweaters anymore, but I definitely understand now. I've also seen some angora fabric yardage in the past couple of years and it is outrageously expensive, so hopefully these cute little guys are being treated in a much more humane way! I do too! Many of these guys I totally want to pet. Thank you Kate! I will most definitely think about it. I was considering creating a downloadable e-book with all this info in it. I still have a fair amount of posts to go through, so I think this might be a fabulous idea! I was planning on making it free too! Yay! Yes, this is very hard to know. I would also add that as a small business owner who sells fabric, many times, the fabric I'm purchasing has gone through at least 3 middle men before I see it. I rarely, if ever, deal directly with the manufacturer of the cloth so its really hard to find out if something has been ethically milled or not. I agree, you are right! I find the same thing. It's awesome that you own these animals! Soooooo cool! Lyn, this is terrible! And nowadays, its hard because I don't know that the majority of people understand the worth of real wool. I've seen department stores here in the US market something as cashmere when it contained 5% of cashmere and otherwise was acrylic!!! This is incredibly disappointing! An all-around BOO! for the state of "fast fashion" the world is in today. Thank you for the highly educational post - has actually opened my eyes to the different fibre types of wool and more importantly their origins. I didn't know that cashmere came from a goat. The basic difference between these two types of spinning is how much air is included in the basic yarn as it is spun up. Woolen spinning includes a great deal more air, and is far more likely to be available in knitting yarn. If you weave with it, it is better to weave at a very light density, so as not to lose the trapped air, which leads to greater warmth. Truthfully, I've really only seen that type of weaving in handwoven items, not commercial stuff! Worsted spinning tends to be very tightly spun, with very little air trapped in the yarn at all. Although this can certainly be done with thick yarns, this type of yarn is more likely to be spun very finely and used in weaving cloth, which is why worsted cloth is the way you describe. The down side is that worsted-spun cloth is not as warm as woolen-spun cloth. Anyway, just thought I'd add to the general knowledge. Speaking as a knitter, these animal fibers have lots of different effects on finished fabric. Wool is the most elastic. Merino wool is the softest and needs a firm spin to keep it from pulling. 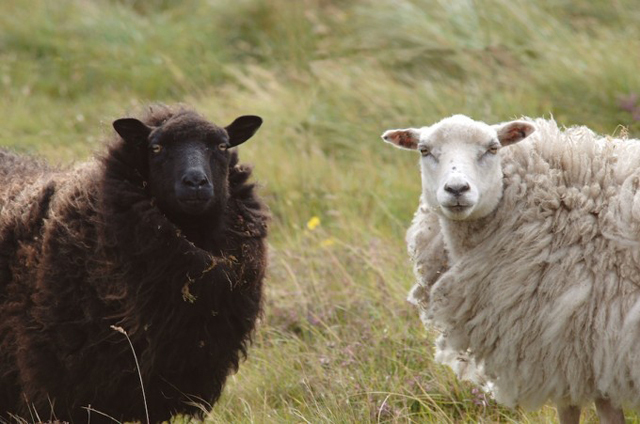 Shetland wool is a medium wool sheep with guard hairs and kemp in its coat that requires some more extensive processing to go from sheep to yarn. Alpaca is warm and soft but not very elastic so very drapey and has a halo to it. Can shed. Angora rabbit fur is often cut with other fibers because it is completely inelastic and also about 5x warmer than other fibers. "Angora" is kind of a catch-all term in the animal husbandry world for an animal with thick, warm, long, and lustrous locks. There are angora goats, rabbits, cats, and dogs. I think the root comes from "Ankara," a region in Turkey. A question for you though. I got some beautiful wool from the fabric store and I didn't realize it at the time, but it's a stretch wool. It feels like 95% wool 5% lycra, judging against stretch denim. I've never sewn with wool woven, let alone wool stretch woven-- Is there anything special I need to know about that? My best guess is that it is a colloquial distinction. As a language spreads across the world and through time, local usage changes. For instance, my 80+-year-old father refers to his "shirt" as a "blouse." Local usage in central North Carolina when he grew up did not distinguish between masculine and feminine garments. (It does now.) About using "wool" to describe any animal's hair, you're right, that IS odd. We say "camel's hair," not "camel's wool" although you'd think that would also be a "woolen." My LYS (local yarn store) owner collects hair from her collie all year, and spins it into a lovely undyed dog's hair yarn to sell at Christmas time. Would that be considered "wool" where you live? Thank you for this! Love hearing more about everyone's knowledge of wool fabric and fiber. Thanks for your input Sara! I would say that with your stretch wool, just keep in mind that it's meant to stretch when you wear it. This works lovely in a jacket - when you want a very fitted jacket and you want to be able to actually move in it and not feel like you're wearing a straight jacket. I would recommend going down one size in a pattern, or using a bigger seam allowance everywhere with whatever style you choose to make up the stretch wool in. Fit as you go too. Hopefully this helps you! This is fascinating! I personally would think of it as a wool. And how dare I miss Camel hair! Aaacck! I will update this post very soon with some Camel hair. Thanks LinB! Thanks Sunni! I think I'm gonna stash the wool for a while. I'm fairly new to garment sewing, so I don't want to botch something beautiful or attempt something too far beyond my current skill set. Button holes and zipper installations are still adventures for me. Adorable pics and great post. I have something of everything in your post, including some great Italian vicuna - or "pura lana vicogna" as it says on the side. This huge store we have in my island sells everything from totally unadulterated rubbish to some really nice silks and wools, and I had stocked up on some of this wool - had made a blue jacket and skirt, and a coat, and recently found I still had some black left and made a New york cape (tessuti pattern). It's lovely stuff and my friend Franco who has a men's shop recognised it by look and feel. I have found that a lot of Italian and some French fabrics tend to have the composition stamped on the edges - at least the good ones. I've been fortunate enough to score great stuff from Franco's shop - since tailoring is no longer so popular among men nowadays (idiots) he is selling his fabric stock at great prices, so I have bought Dormeuil fabrics and others - super 120s, 140s, tropical wool, mohair suitting, etc etc..... these are the only fabrics I actually hang from a clip hanger instead of folding them in my different stash places! And I have also managed to buy merino knit on line from New Zealand - it is gorgeous, and doesn't itch my neck and chest like other wools do (except for cashmere - but hey, can you even buy cashmere knit??!!). I have bought angora for knitting in the past but always made sure to buy British made or Italian, especally after seeing pics on laughing hens of this woman spinning directly off her pet rabbits - so cute! - but the last time I bought some was from Rowan and I was shocked to see that it was from "French and Chinese rabbits" - I did not expect Rowan to use Chinese angora, I wouldn't have bought it if I knew. That country has no culture of compassion for animals and I avoid buying chinese made for that reason.